A yearly event on the AMVC calendar. All British Day is a gathering of almost every known past & present British car manufacturer and usually results in a display of around 1500 cars. 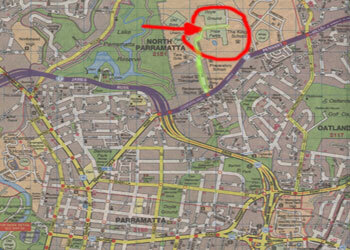 Held at Kings School, Parramatta (Map pictured right) in Sydney's west. The event is held at the same time as the Kings School's annual fair, creating a Craft and Arts market, along with the now traditional All British Day. Now a major social gathering which is an event to mark in your diary at the first opportunity.